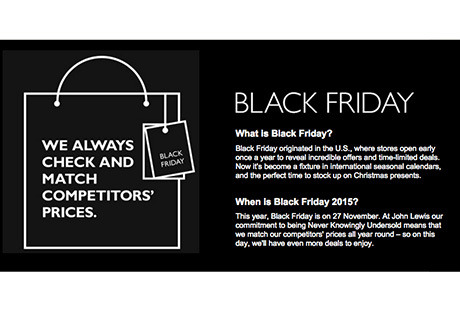 Home The Froggblog Insight Edit: How did consumers really engage with Black Friday? Insight Edit: How did consumers really engage with Black Friday? How did our panel shop on Black Friday? 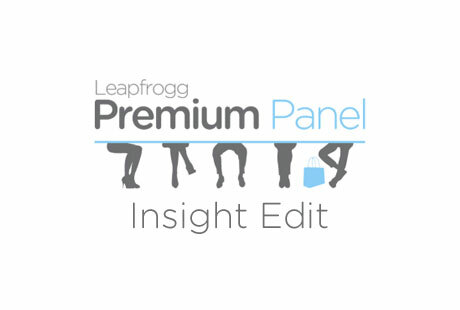 Back in November, we asked our The Premium Panel their thoughts on Black Friday. Much to our surprise, 80% of our panel stated that they were not planning on letting Black Friday influence their shopping habits over the Christmas period. This was a view which conflicted heavily with the industry press who predicted that 2015 would be the biggest Black Friday yet. Now Black Friday has been and gone, we asked our Premium Panel whether their attitudes towards Black Friday shifted when the day actually arrived. This means the vast proportion of those we asked before Black Friday stuck to their views that they were not going to get involved this year. Only 3% of respondents purchased sale items in a store on Black Friday, whilst 27% bought items online. These findings back up reports that stated that a majority of Black Friday purchases were made online rather than in-store after the mayhem of previous years. We then asked those who did not to make a purchase on Black Friday, why they chose not too. 44% of consumers said they did not buy an item on Black Friday because they did not see anything they liked. Perhaps many items that retailers had chosen to discount this year were not the popular products that consumers desired. 23% of those who didn’t purchase said they didn’t buy anything because they don’t agree with Black Friday and what it stands for. We will be interested to see how this view changes over the next couple of years as Black Friday becomes more widely known. 79% of those who did make a Black Friday purchase were buying for their friends and family as you would expect near Christmas. However, 45% of our panel members also bought items for themselves. In light of our findings, one possible explanation could be that Black Friday, despite having grown rapidly in recent years, could be moving into decline as a concept and many are choosing to avoid the hype. Perhaps retailers were more cautious with their discounting and, therefore, consumers were less likely to find the products they wanted to purchase, or perhaps they were simply overwhelmed by the discounting. This underlines our belief that the best way to make the most of the Christmas period, whilst providing the best experience, is to offer great products at consistently good prices.